Trillium Studio is located on Wentworth Street in the heart of historic uptown Saint John, NB (#saint awesome) The neighborhood has great restaurants, coffee shops and bars in Canada's first incorporated City. Only 5 minutes to Rockwood Park, Canada's largest urban park. The studio (Formerly Shell Lane Studio in Prince Edward Island) was opened in 2006 by veteran recording engineer/producer Paul Milner For more than 35 years Paul has worked in the music industry with credits on over 500 recordings as a freelance record producer / engineer / mixer and mastering engineer. Paul devotes a large part of his time to the development of projects with upcoming new artists such as I Mother Earth, The Headstones, Patrizia, Chucky Danger Band, New World Son and countless others. Paul has worked alongside some of the best names in the music industry including Keith Richards, Eddy Grant, Jim Vallance, Andre Perry and Sting in some of the world's top recording studios on both major and indie projects. These projects have sold in excess of 21 million copies worldwide. Paul's work has won numerous music industry awards, Juno's, gold and platinum certifications, a SOCAN #1 song award and more recently several ECMA awards with recordings for Matt Andersen, The Saddle River Stringband and Paper Lions (Chucky Danger Band).. The studio was relocated to Saint John in December 2017. Our goal was to create a relaxed and creative atmosphere in the heart of a beautiful and inspiring City Center. Artists and the people surrounding their creative processes need to ensure that they are working in an enviroment that contains little to no stress, a place where technology doesn't interfere with the creative process. We're happy to help make this happen! 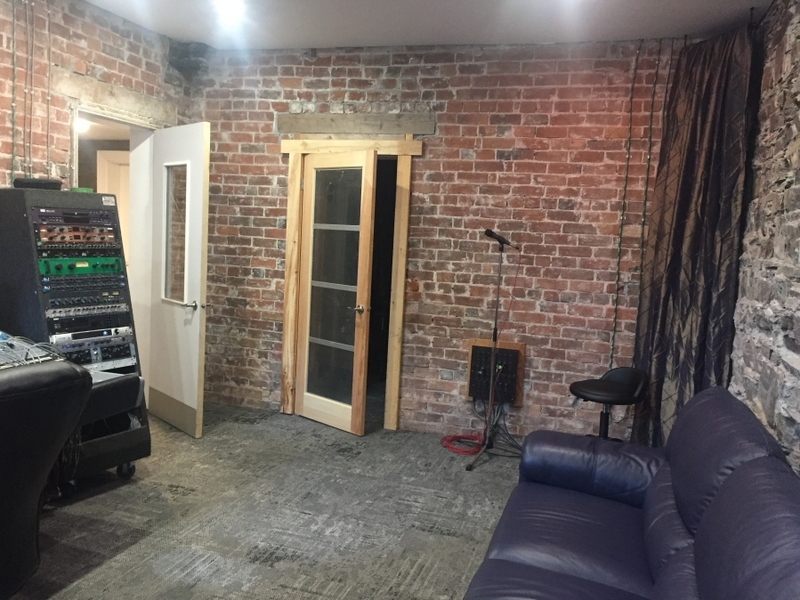 The main studio area features natural stone and brick with a stone drum / live room, 2 vocal / isolation booths, a lounge area that also doubles as a recording space and a control room with natural light and 10 foot ceilings. All rooms are acoustically isolated with tie lines linking them together. 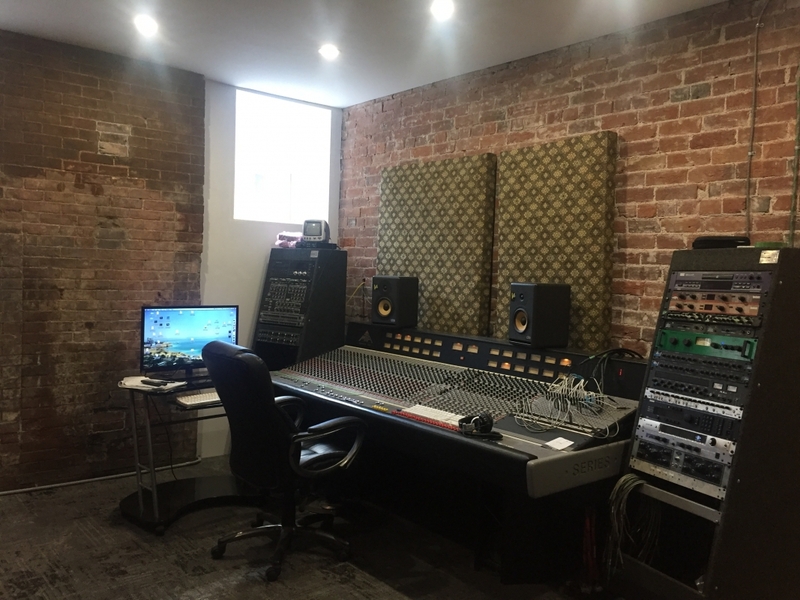 The second floor has 13 foot ceilings and hardwood floors throughout offering a wide variety of recording spaces with various combinations of reflective and non-reflective surfaces. Equipped to record digitally with Pro Tools or Digital Performer, Universal Audio Apollo converters and a complete UA plug ins package, we can also record and mix entirely analog using our MTA 980 console designed by Malcom Toft (Trident), quality microphones, outboard pre amps, compressors and analog effects. We can also merge the digital and analog worlds tracking into Pro Tools, providing analog warmth and digital convenience.